In an era when the popular music industry has grown and distorted itself out of all recognition, Mouskouri has been beyond fashion, a haven for all those who want nothing more complicated than a beautiful voice and a conscience. 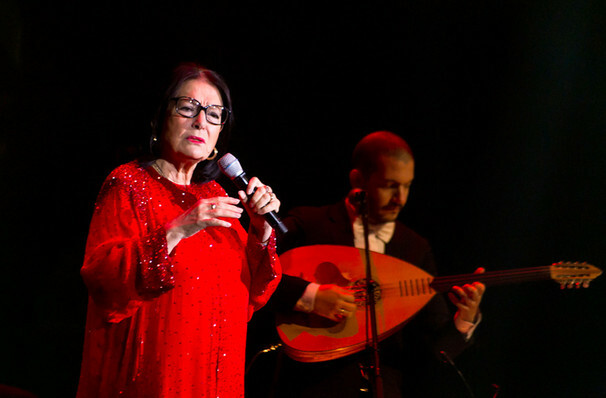 Over a stellar 60 year career, Greek icon Nana Mouskouri rose to prominence as the biggest-selling female artist of all time, a title she still holds today. Fluent in Greek, French, English, Spanish, Italian and Portuguese, the diva's ability to emote in a range of languages and genres with a distinctive, ethereal soprano has resulted in a body of work universally adored. Spend an evening in the company of this shining star as she heads out on the Forever Young Tour. Tracing back over the years to her first forays into the world of music, the tour will unearth the timeless hits that first solidified Mouskouri's status as a force to be reckoned with. Now at the age of 80, with 300 gold and platinum discs, as well as some 1600 songs under her belt, the songstress' incredible voice remains undimmed. Don't miss this chance to see a true living legend! Sound good to you? 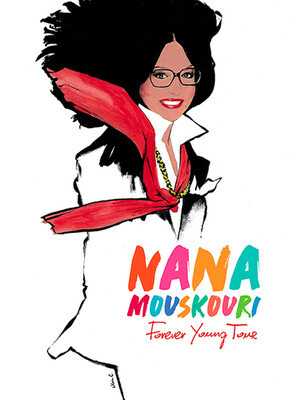 Share this page on social media and let your friends know about Nana Mouskouri at Palace of Fine Arts. Please note: The term Palace of Fine Arts and/or Nana Mouskouri as well as all associated graphics, logos, and/or other trademarks, tradenames or copyrights are the property of the Palace of Fine Arts and/or Nana Mouskouri and are used herein for factual descriptive purposes only. We are in no way associated with or authorized by the Palace of Fine Arts and/or Nana Mouskouri and neither that entity nor any of its affiliates have licensed or endorsed us to sell tickets, goods and or services in conjunction with their events.